The Smart TV industry is growing rapidly in India. One of the key players of the market is Xiaomi, the topmost smartphone brand of India as of 2018. Another market player of the Smart TV industry in India is Noble Skiodo. The company (Noble Skiodo) launched a new Smart HD TV with a 39-inch screen and intelligent UI. Noble Skiodo has launched the 39-inch Smart HD TV for Rs 16,999. The TV is available for purchase across leading retail stores in India. The new TV from Noble Skiodo comes with the model number NB39INT01. The company claims that its new smart TV offers high contrast and clear picture to the users. The Noble Skiodo Smart TV comes packed with a wide range of apps and services with the aim to deliver seamless user experience. The new TV from Noble Skiodo also offers several ways to connect a smartphone to the TV and also provides “a seamless convergence of content with a smartphone”. The ‘NB39INT01′ Smart TV from Noble Skiodo runs on Android TV platform which means the users are going to have access to great video content. On the hardware front, the smart TV from Noble Skiodo is powered by a quad-core Cortex A7 CPU paired with 8GB of internal storage and 1GB of RAM. 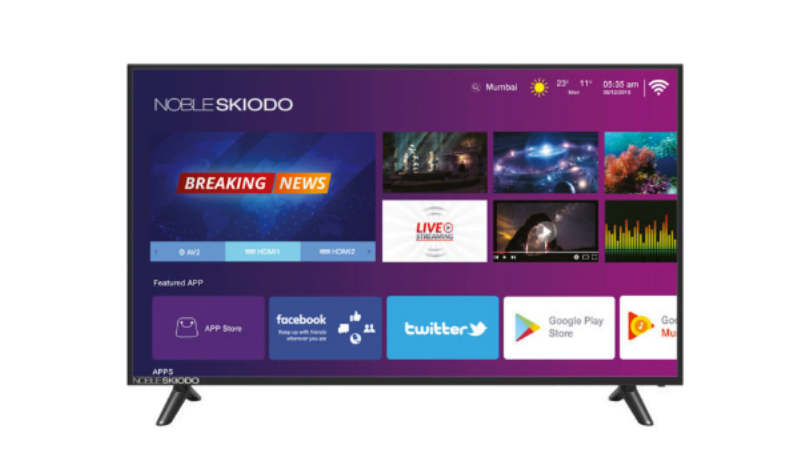 The Noble Skiodo smart TV also comes packed with built-in Miracast support and also an E-share app which basically enables users to display content from their smartphones or any other personal devices to the TV screen. Additionally, the smartphone also comes with Intelligent User Interface (UI) support that enables users to stream video content directly on the TV home screen based on their choices and taste in video. The Intelligent UI offers 3,00,000 hours of viewing and customises video suggestions such as Netflix, Hotstar, Prime, among others. The ‘NB39INT01? smart TV from Noble Skiodo also comes with two speakers that the company says have the capability to deliver an audio output of 10W X 10W. Noble Skiodo claims that with the new Smart TV the company wants to provide theatre like experience. In addition, the Smart TV also comes with two HDMI ports, two USB devices, Ethernet port and Wi-Fi support which will help users easily connect the TV to other devices. The TV also comes packed with a magic remote which includes an inbuilt keyboard with a motion sensor remote. 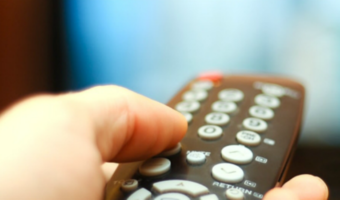 The sensor basically enables users easily, quickly navigate through the TV.